Get ready for summer and your wedding with a custom bachelorette bikini! Use the coupon code below to save! Use coupon code BPTMAY at checkout and get 5% off orders of $25.00 or more! Offer expires 5/31/2015 at 11:59PM EST. Wedding season is fast approaching and that means you need to start thinking about the perfect wedding gift. You can easily give cash or take the registry route of buying a pre-selected gift from a store but why not think outside the box for this amazing couple. A wedding gift should be memorable and unique enough that the couple will cherish it forever or at least get a good laugh out of your creativity. Not sure what to get the newlyweds? 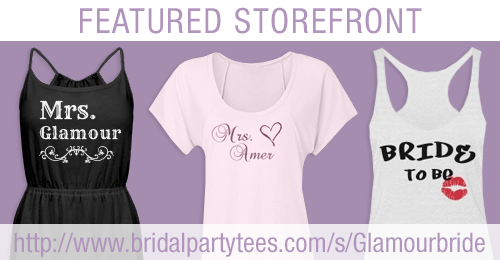 Bridal Party Tees has got you covered. We’ve designed some unique and memorable custom wedding gifts for the couple that will show your joy for them on their big day. 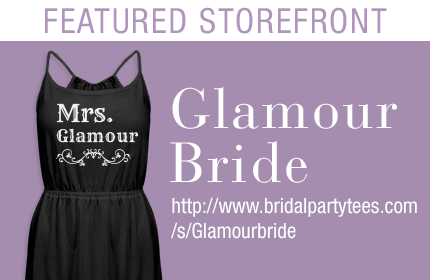 Our designs for the bride and groom are not only limited to apparel but also include custom drinkware and accessories. Any design you see in our gallery can be customized to any product we provide on our website at no extra cost. All you have to do is find the design you like and swap out the item in the design center. It’s really that easy and how cute would it be to give the newlyweds matching mugs with their new titles or hubby and wifey? 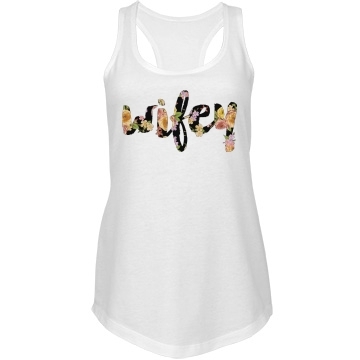 Want a specific design but you don’t see it in our gallery? 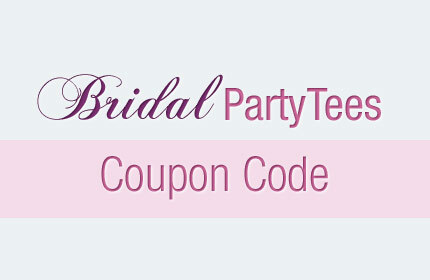 Let us know or add it yourself and earn money with BridalPartyTees storefronts! Cinco de Mayo is a day to celebrate all things Mexican and how it has influenced culture in America. Individuals host fiesta’s with specialty dishes and most engage in some wild activities. Since Cinco de Mayo is one big party why not combine two celebrations in one and have a Cino de Mayo bachelorette party! When you think of the two together it’s a perfect combination because nothings says “Fiesta” like a bachelorette party. 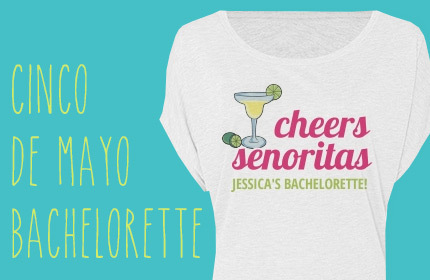 Brightly colored flowers, endless margaritas, and an amusing shaped pinata can make a fantastic bachelorette party but Bridal Party Tee’s wants to help you celebrate and make your party more memorable with Cinco de Mayo bachelorette party shirts! We offer the best selection of custom bridal apparel on the internet and our Cinco de Mayo designs are by far the best you’ll ever find. These hilarious and catchy Cinco de Mayo sayings are sure to get you some attention on your last night out as a single lady. All of our designs can be customized so make sure you add names, dates, and locations to make the night more memorable… well, at least at the beginning of the night you’ll remember it. 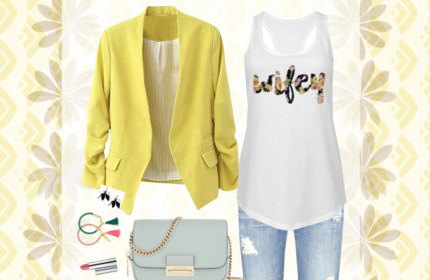 Need some design details to make your Cinco de Mayo bachelorette party perfect? 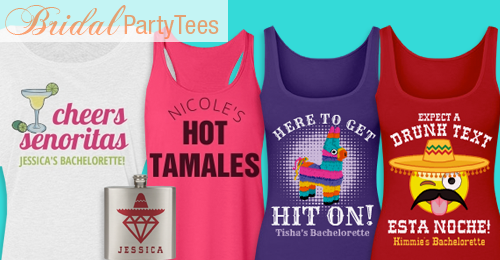 Make sure to check out our Bridal Party Tee’s Cinco de Mayo pinterest board for some last minute ideas!